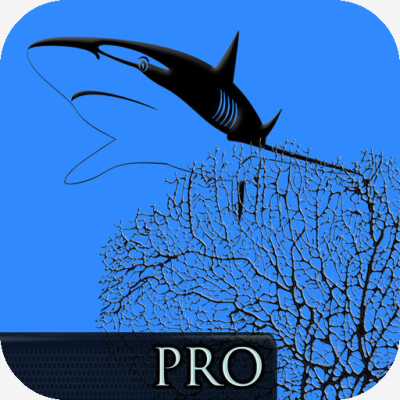 “Reef Life Pro is the most comprehensive marine identification app available on the market." The Reef Life Pro app contains all marine Vertebrates and Invertebrates and now boasts nearly 2,500 species from 17 categories, that are fully documented and professionally photographed (3,300+). This app is perfect for divers, snorkelers an aquarium enthusiasts who would like to not only identify, but learn about our salt water friends. Reef Life Apps updated their Reef Life App to Reef Life Pro. Reef Life Pro has now GPS coordinates of more than 200 internally defined oceanic regions and sub regions. This update allows users to experience a much simplified process with the identification of species based on a specific location. Reef Life Pro also offers users the ability to add their own species to the app. The interactive application therefore allows you to add all details, notes and images to each species, as well as to edit and update details of user created species. This significantly simplifies the process of identifying marine animals. Marine Life Conservation and Education are a priority as well. There are two major sections, 50+ pages covering all matters education and conservation. As the app is self contained and does not require an internet connection, it can also be used on boats or in remote dive locations. 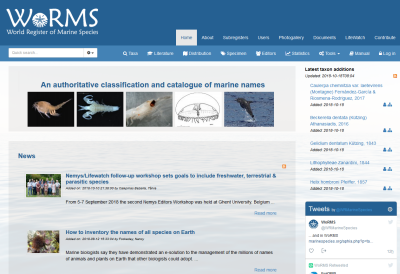 WoRMS granted Reef Life Apps a licence to use the taxonomic content of the World Register of Marine Species. In return, Reef Life Apps agreed to provide marine life images harvested through their Apps to WoRMS. The duration and terms and conditions of this licence are set out in a Memorandum of Understanding (MoU). The World Register of Marine Species (WoRMS) is one of the largest component data systems contributing to the LifeWatch Taxonomic Backbone. You can download the Reef Life Pro App for free, but you can also make in-app purchases to buy specific species groups.